It is with sadness again that we announcethatWW2SAAF fighter pilot Eric Johnson passed away earlier this month on 6 April 2015 at the near age of 97. Another one of our finest SouthAfricanWW2 heroes has slipped from this world to touch the face of God.R.I.P. Eric and condolences to his family and friends. We will remember him.Eric Horace Johnson joined the South African Air Force in 1941 and qualified as a fighter pilot. He was sent to the Middle East and did operational service with No. 5 Fighter Squadron in North Africa. 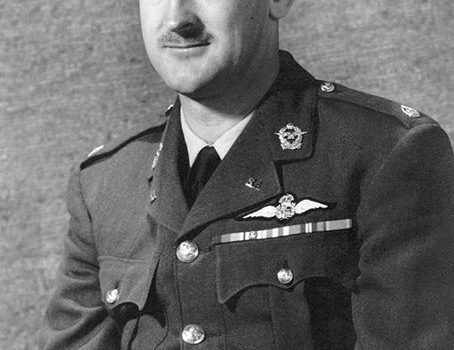 He participated in the Alamein battles of 1942 and the subsequent push where the Germans were eventually defeated in North Africa by mid 1943. Flying Tomahawk and Kittyhawk aircraft, their squadron did various duties including protection/defensive sorties to own troops, bomber escorts, armed recces, ground attack sorties and others. Eric had an eventful combat tour. At one stage he was shot down, wounded and hospitalised. For the remainder of the war Eric was involved with pilot training in the Middle East, Italy and South Africa. After the war Eric had a long and successful career as an Industrial Chemist until his retirement in 1984. Visit his tribute web page. Thanks to Tinus Le Roux and Eric’s family for the notification and provision of Eric’s photographs and references.